A CP4 pump failure can wreak havoc on your fuel system and cost thousands of dollars in repair bills. 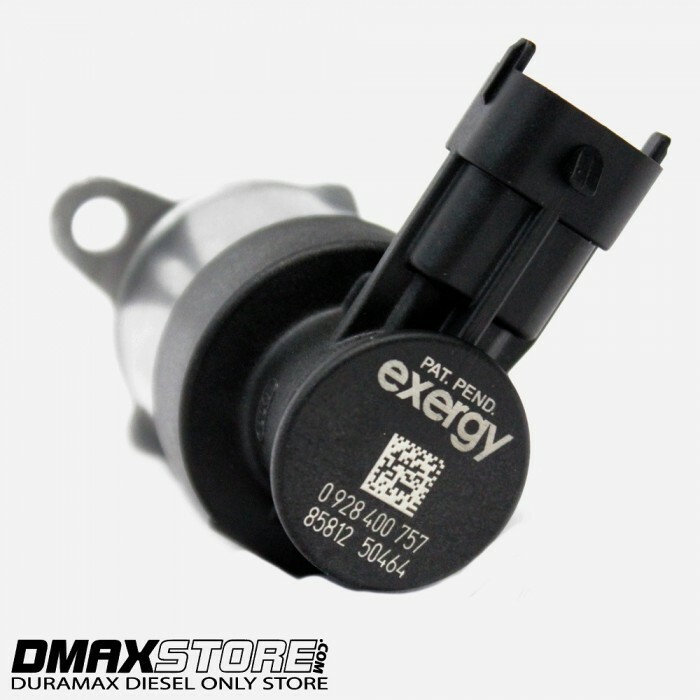 Exergy has a new and improved "System Saver" CP4.2 Inlet Metering Valve(MPROP) for your 2011-2016 LML Duramax engine. With an upgraded heavy duty screen, it will not collapse in case of a CP4 pump failure which will help prevent metal shavings from spreading to the rest of your fuel system. 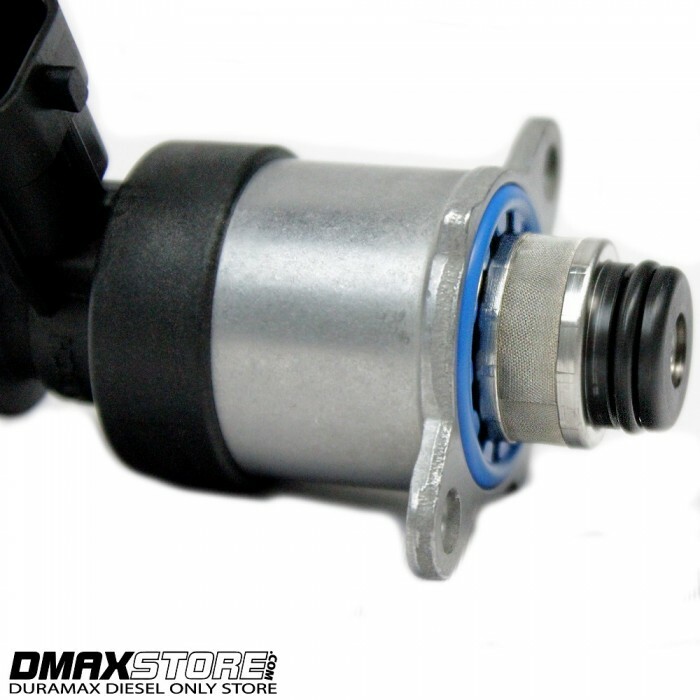 This is a direct factory replacement with no modifications necessary for installation. 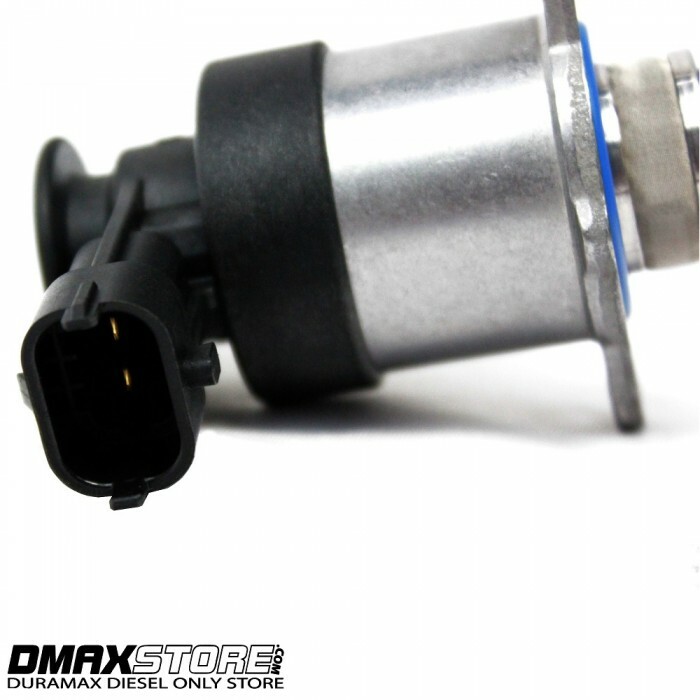 The CP4 Pump on the LML model Duramax can fail if the fuel system has any water or contaminated fuel introduced to it. 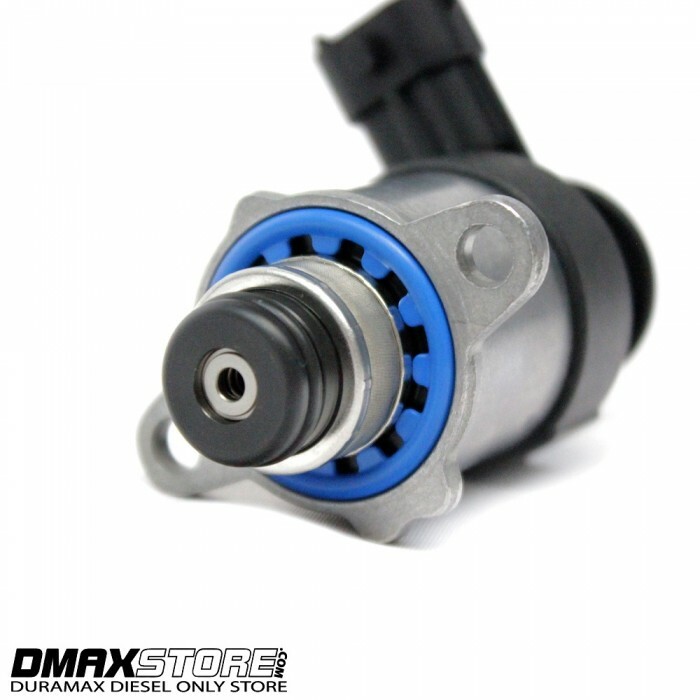 When the pump fails, it will send metal contaminants throughout the entire fuel system which in most cases will ruin the injectors and other sensors and cost you several thousand dollars. The System Saver Inlet Valve was designed to offer you the piece of mind in the event of a CP4 Pump failure. The important difference between the OEM valve and the System Saver is the improvement made to the screen, which is upstream of the valve inlet. The OEM screen is a single 80 micron layer, and is a very flimsy design. In extreme cases the factory screen can actually tear, introducing massive amounts of debris (from the failed pump) to the injectors. The System Saver Valve screen is rated at 25 microns and is wrapped in two layers. This improved micron rating and double wrap construction will do a much better job of keeping debris from entering the rest of the fuel system. It is also constructed in a manor where it will not be able to tear or de-laminate from the filter housing. Another benefit to the screen is the fact that it will load up quicker than the factory screen in the event of a pump failure. This will choke off the valve sooner, which will bring the truck out of service and shut it down in a shorter amount of time. 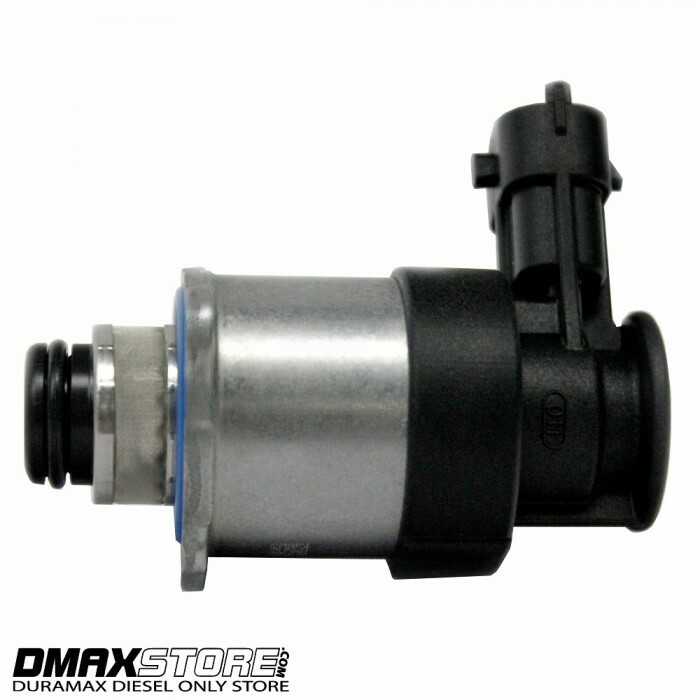 This is all positive for improving the chances injectors won’t need to be replaced when a pump has failed. Exergy has also flow tested the valve with the upgraded filter and there is no measurable loss of pump performance with the finer screen, even with a 10mm stroker CP4 pump at 4500 RPM. The screen and housing are constructed from stainless steel for corrosion resistance. And, as always, you can trust that Exergy products have been properly de-burred and are assembled using appropriate processes to ensure proper cleanliness.